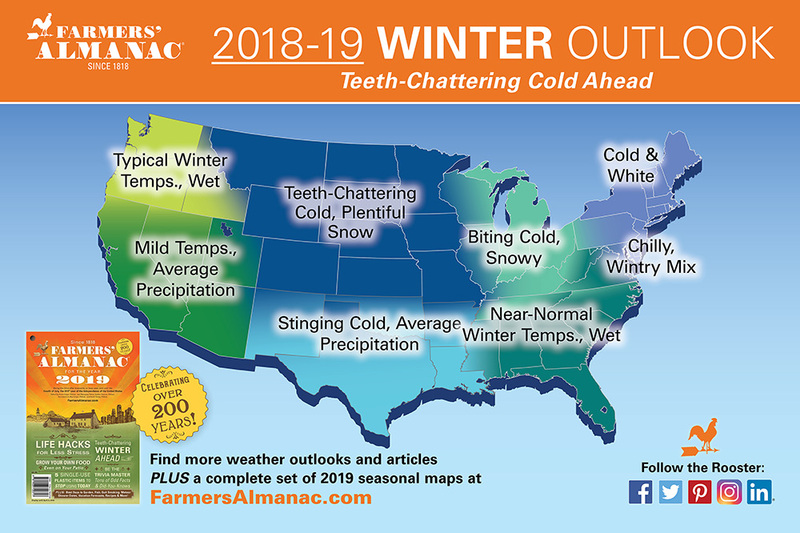 The Farmers’ Almanac released their 2018/19 winter outlook today. The Almanac also forecasts an unusually snowy and/or wet winter across the Pacific Northwest, Northeast, and Mid-Atlantic States; in these regions, the thermometer will be hovering just above or just below the freezing mark, which means some of the precipitation may fall as either ice or rain/freezing rain. Mild winter? Nah. It’s going to be cold, so be prepared! Above-normal precipitation is also forecast for the Southwest region during December 2018, and for the Southeast in January and February 2019. 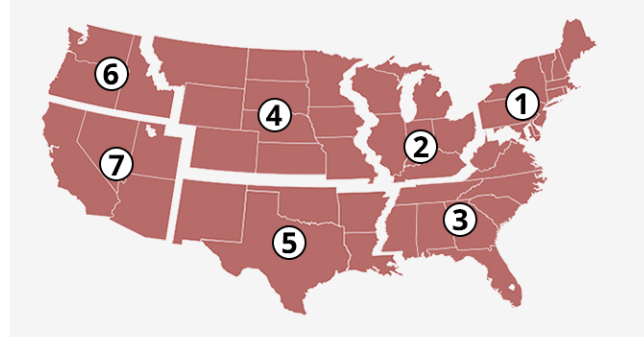 The rest of the nation will see closer to normal snowfall amounts, although, as the 2019 Farmers’ Almanac suggests, a stormier-than-normal March could push snowfall totals to above normal over the northern and central Rockies and Plains. 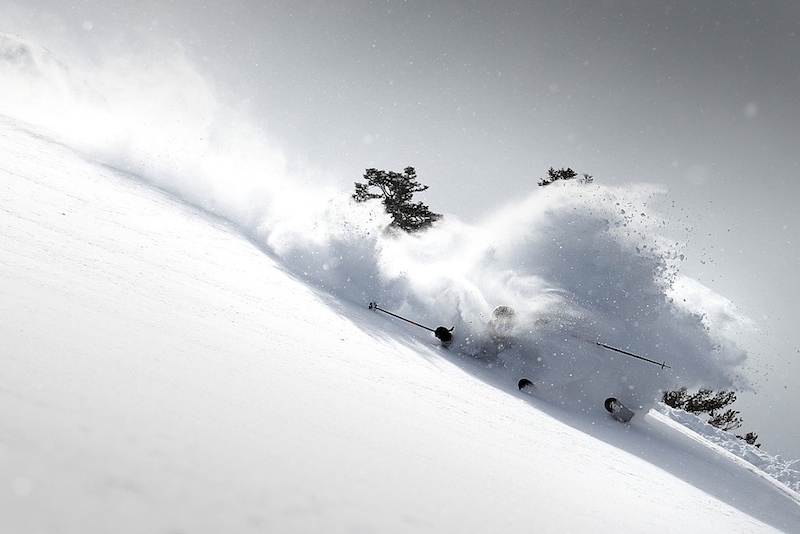 Good news for skiers and boarders! Curious how the Farmer’s Almanac did with its 2017/18 winter predictions? 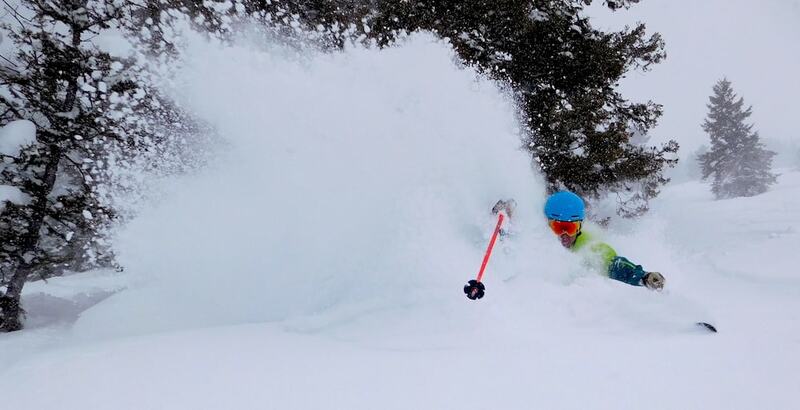 im not a skier. nor do i use those skinny, scary boards…..I tryed the glorious bunny hill when i was younger….got to the top, looked DOWN, took my damned toothpicks…aka….skies off my feet, then walked down the side of the bunny hill while everyone else captured their little dreams of snow and danger………HA. i DO love adventure…preferably seeing the WORLD…….getting lost in Kenya, getting even more lost in Marrakech and being escorted to the police station in Israel….because they thought my long lensed camera was a weapon. smile. So. i just wanted to drop this note off to you to SCREAM and tell you that the snow and snowfalls that you monitor so vigorously are absolute snow events of magnificent BEAUTY. oh……i get the dangers. i get the incredible stress and strain that it puts on those of you who continue to live thru its magic and DARING FORCE. i just wanted to say…..JOB WELL DONE….